I have done several computing projects over the years. Here is a sample of the projects I have completed. While in University, I owned a Macintosh that I quickly transformed into a software development platform. I ported most of my undergraduate assignments to the Macintosh to learn the fundamentals of graphics programming and GUI development. Following is a list of some of the projects that I have pursued during this period. This was the most ambitious of my projects. This application opens multiple communication channels between two Macintoshes for file transfer (simultaneous send and receive) and chat. With this program, a Macintosh can be used as a file server and be controlled remotely over a modem line. Development of this application required understanding of low-level file management driver API, low-level serial driver API and GUI development. An X.25 protocol stack was implemented for data transfer purposes. This application was uploaded on the simtel archive and was downloaded and used by several users around the globe. Icon Studio is an icon editor for Macintosh. This application was presented in the computer science department journal to introduce graphics and GUI development. 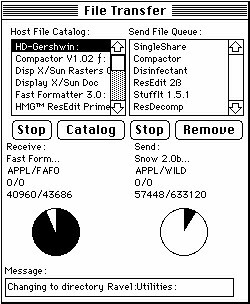 Implements routines to alter Macintosh file resources. 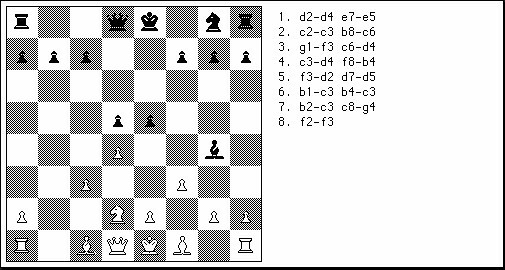 This chess program allows two players to play chess over a phone line. It can verify and record moves. Application written in Pascal. Refer to my SDCC page. Refer to my Colt PIC18F Bootloader page. Refer to my Jolt PIC18F Bootloader page. 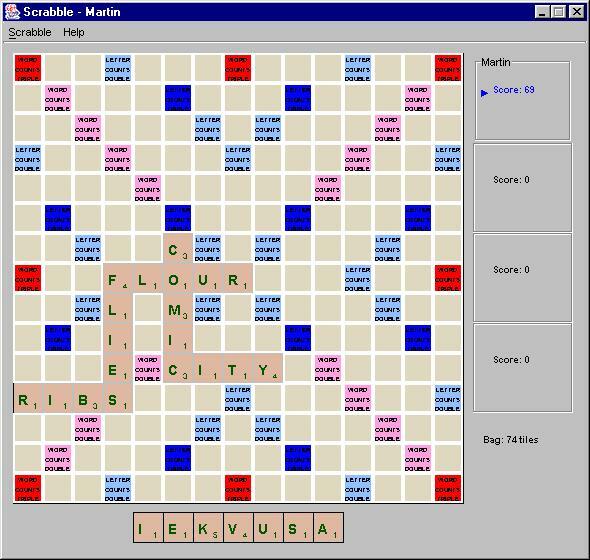 Multilingual Scrabble game written in Java. It has a 350,000 word French and 175,000 English dictionary. Up to four users can play over an Internet connection. Uses RMI to exchange messages between clients and server. Uses appropriate data structures and data fill algorithms to allow for quick verification of words. Can play against computer and/or other users. This game is a proof that Java is a serious game development platform! To contact me, send an email to user mdubuc at freeshell.org domain.